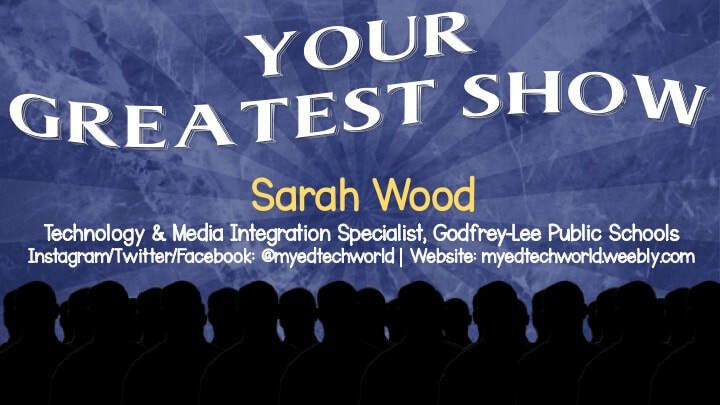 Sarah is a K-12 Technology & Media Integration Specialist in West Michigan. She has a love for photography, graphic recording, being creative, crafts, and anything learning related - if it involves making and creating, you will find her part of it! As an educator, Sarah strives to provide unique learning experiences for students that not only engage them in the learning, but leave students with a story to share about their learning. She has previously presented at MACUL and Podstock as well as done graphic recording for ISTE. What makes your classroom your greatest show? You and your students! Cultivate your student's curiosity in learning by elevating your classroom learning experience through collaboration, communication, critical thinking, creative innovation, confidence, and most of all, content! Be the wild card that makes learning engaging for your students and want to continue telling a story after they leave your room - this is your time to dream with your eyes wide open and come alive! Are you an artist? I sure am not, but I can definitely doodle, and you can too! This session will include some hands-on learning where you will be introduced to Sketchnotes, a form of visual notetaking for you and your students. With a stroke of what, a blend of why, and a large splatter of FUN, you can learn how to use Sketchnotes to help your students remember content, expand their learning, and bring the verbal world to the visual.